At the exit of Sainte Maxime, on the road to Saint Tropez, in a secure domain (night watchman and manager) and residential with swimming pool (paddling pool), tennis, petanque and restaurant, pretty farmhouse, attached, fully restored. about 110 m², 5 rooms, with private pool and a superb view on the Gulf of Saint Tropez, which can accommodate 8 people. This air-conditioned farmhouse consists of a living room, a fitted kitchen, guest WC. On the ground floor: four bedrooms, a bathroom, a shower room, separate WC. 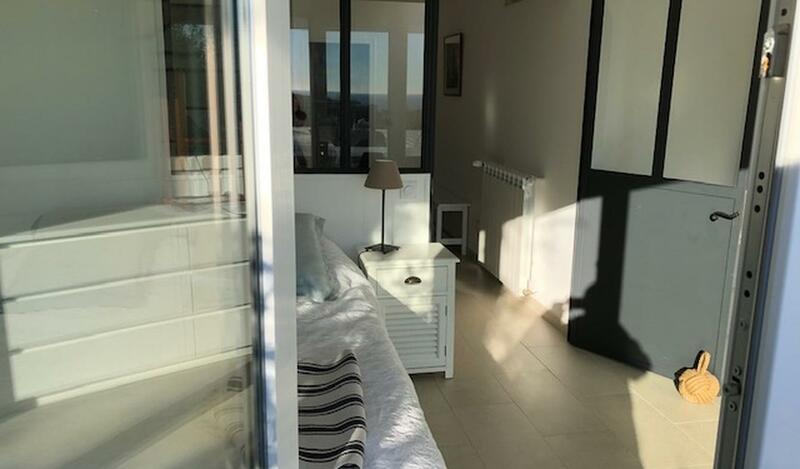 This property has access to a private beach facing St Tropez with 2 mattresses included in the rental and beach restaurant at preferential prices. Ideal for two couples with four children.